MELite™ extends Aux transitions by enabling transitions when switching material from an Aux bus. Previewable MELites replicate M/E bus functionality in crosspoint operations with PGM or PST rows using Line selection on the control panel. 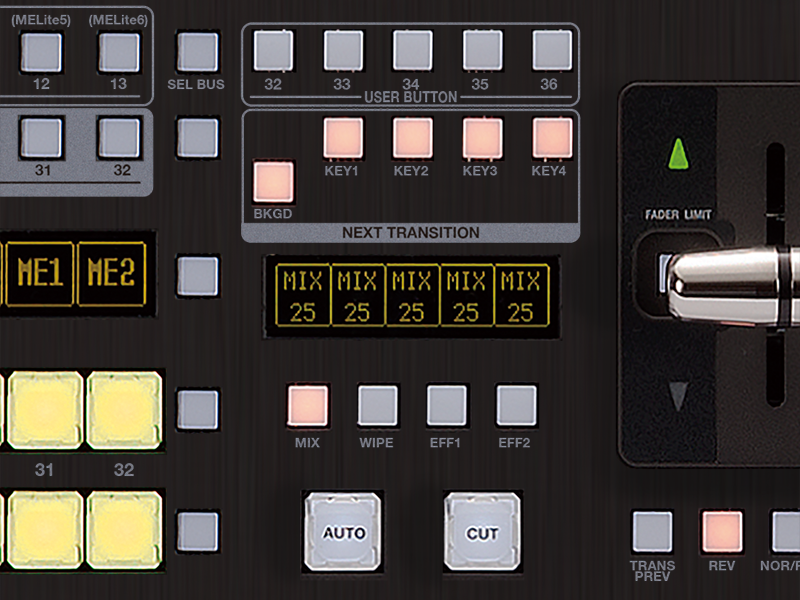 Fader operations enable mix, wipe, and other transitions. Key compositing is also available. With MELite, a pair of two Aux buses can be used as a PGM or PST bus. 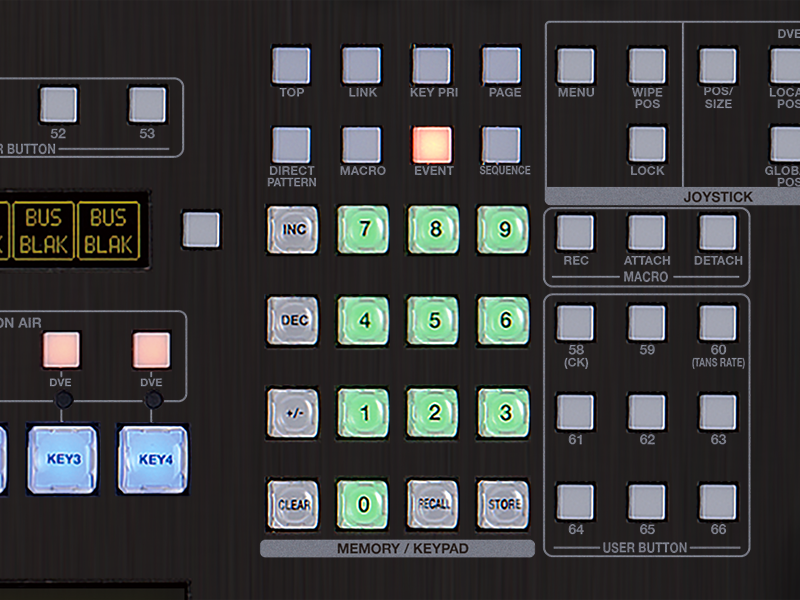 As with M/E buses, entries can be freely set, enabling use as a convenient 3 M/E switcher with rows for material, effects, and playout. FLEXaKEY™ provides a convenient keyer that can be freely assigned to M/E 1, M/E 2, or Aux. Applying FLEXaKEY to M/E 2 puts a quad FLEXaKEY under your control, combining four traditional keyers. Up to eight keyers can be combined. Combine an Aux bus and MELite for P-in-P display or use as an upstream key. 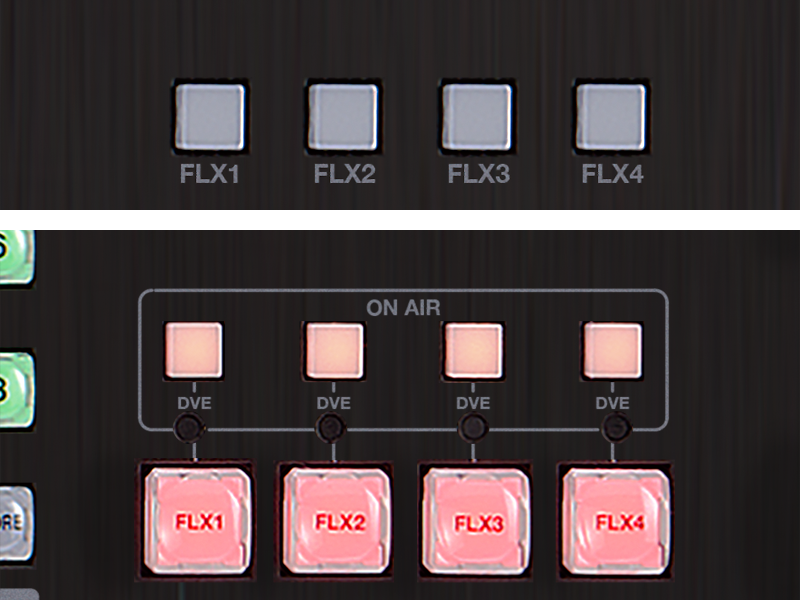 Multi-monitor, video wall environments can be implemented separately, without using an M/E bus at all, thanks to FLEXaKEY. P-MEM™ is an original feature that extends event memory. All switcher status at a certain moment can be saved and later recalled. The same applies to required portions of M/E, MELite, Aux, multiviewer, still image, or clip selections. Macros can also be executed, enabling impressive effects at the touch of a button. 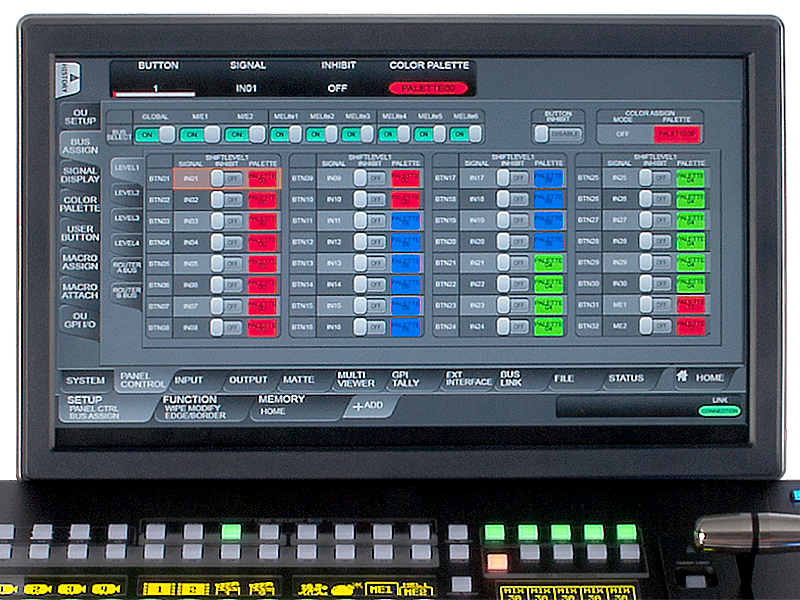 OnStage™ enables live event operation of simultaneous transitions of multiple M/E buses (M/E 1, M/E 2, or MELite 1–6). 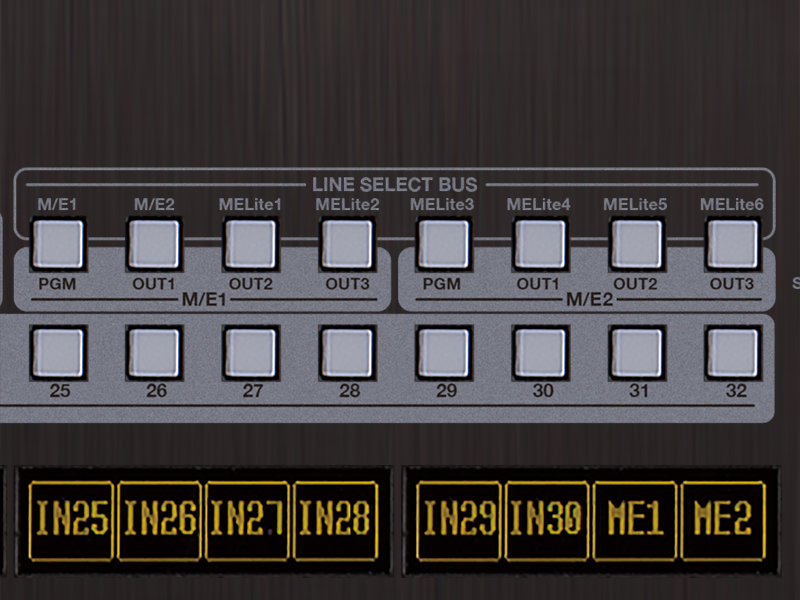 With a single row of bus button-operation on the control panel, you can switch to multiple M/Es or MELites, or instantly switch to individual transition operations, for a broad range of effects. The Midas Touch™ GUI is available when the control panel is connected to external monitors via HDMI or VGA. View information for multiple keyers or channels on a single, large monitor. Many settings can be configured at once without changing menus. Enhances usability and makes information easier to recognize.